0 Registered (), 27 Guests and 0 Spiders online. 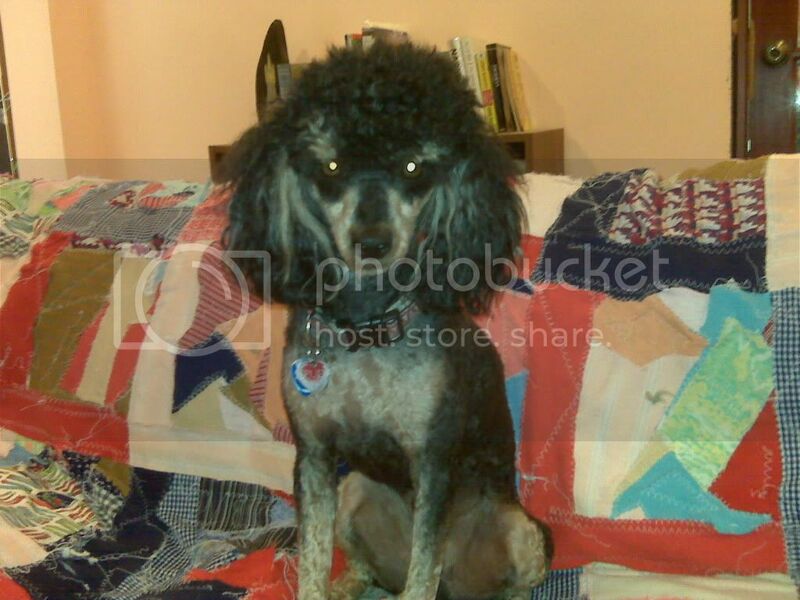 Here's a pic of Angel, my poodle who has had the bladder issues. Thought you might like to put a face with your prayers. Oh my goodness! She's adorable. I hope she's much better. I just love Poodles. Doing a little better. Still have a week to go on her meds and then I hope she's well. Thanks, everyone! New! "Love Under the Bubble Wrap - a Novelette"
Heres hoping she improves totally very soon. She really is an Angel! I don't know what to make of it. She's still doing her squat thing, but doesn't whine or seems to be in any pain. I suppose I need to get another urinalysis done. She's never more than a few feet from me if she isn't on my lap, so it pains me to think something more serious might be wrong with her. I hate when our furry babies are sick. It's really hard to know what's wrong as they can't tell us. Hope she gets well soon! I have grave news. I took Angel for an ultrasound yesterday and she does have a tumor in her bladder. It is near the urinary tract which is why she strains to urinate. Because of its location, surgery is not an option. She is going to be on treatment for the rest of her life to try to reduce the size of the tumor. If/when the tumor shrinks, it will give her relief. They are slow-growing, so if the meds shrink it, it won't grow back swiftly. If it does grow too large, it would, of course, block her from urinating at all, which would be terrible. So please pray for my little sweetheart, Angel. She's lying in her little bed a foot from my feet now and is never very far from me. I can't imagine losing her. Thank you so much. My prayers are with you. Hope the meds help Angel. Generated in 0.020 seconds in which 0.004 seconds were spent on a total of 16 queries. Zlib compression disabled.